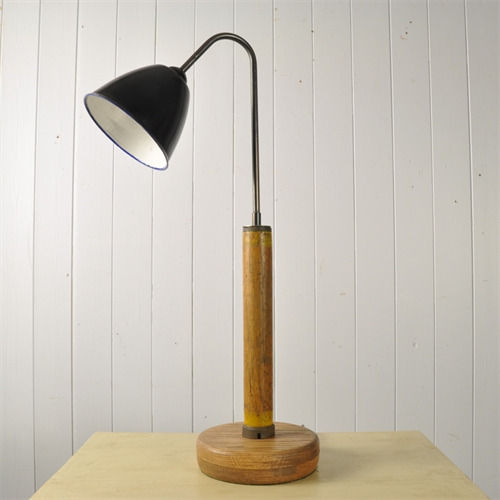 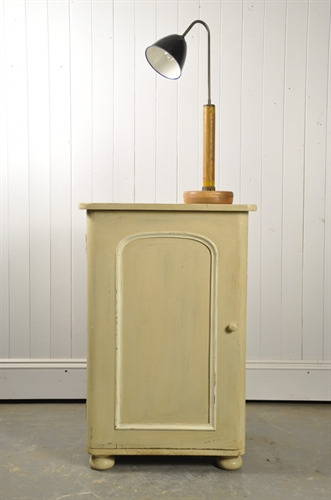 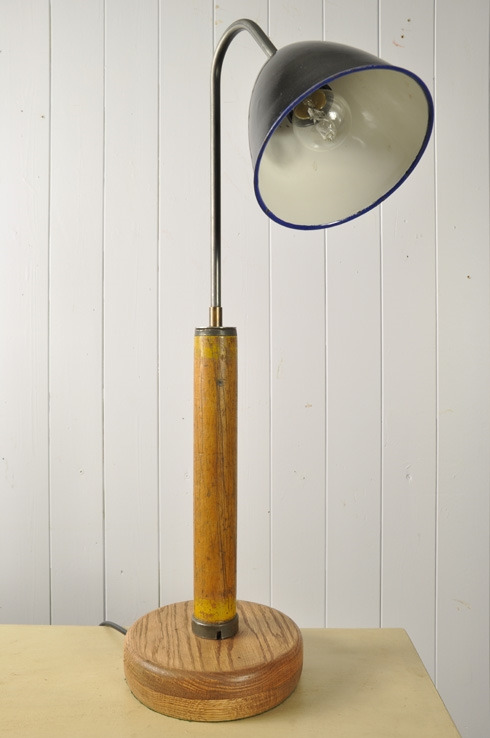 This lamp has been made using a old cotton spool and a reclaimed enamel shade. Lovely and simple with clean lines and interesting patina to the spool. Fully re-wired and PAT tested. 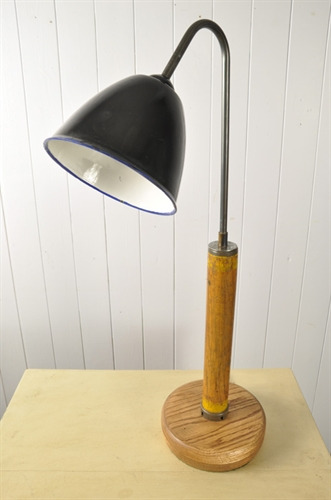 62 cm h x 14 across the shade and 18 across the base.